After months of waiting, Sony finally gave us a peek at the future of gaming console with the Playstation 4 during a live Feb. 20 event. Forget what you’ve heard; the next-gen console from Sony is not going to be called “Orbis” and will instead stick with the naming convention we’ve all grown to love. 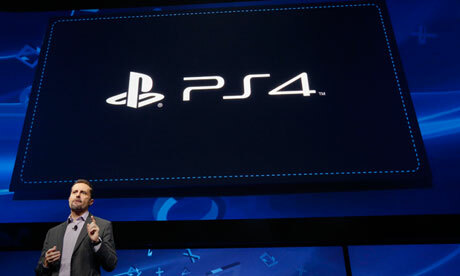 “The pillars of PS4 are Simple, Immediate, Social, Integrated and Personalized. PlayStation 4 supports suspending and reloading play sessions. The console has a secondary chip for uploading and downloading in the background. Digital games can be played as they are being downloaded. Looks like Sony’s taking online gaming and social interaction a lot more seriously with their latest iteration of the Playstation console. It’s somethign we definitely appreciate but we’d like to see if they’re able to deliver on the console’s promise of an improved gaming experience when it finally hits the market. We’re keeping an eye on more news about the Playstation 4 and will be sure to share them with you as soon as it becomes available. Will the Playstation 4 be Sony’s ticket back to gaming dominance? Discuss in the comments below!